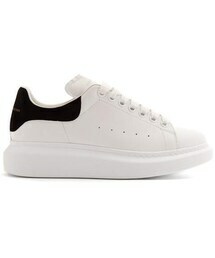 Alexander McQueen - Alexander McQueen's signature raised-sole trainers come in white with black accents. They're crafted in Italy from smooth leather to a low-top silhouette with a round toe and is set on a textured-rubbed platform midsole. They have an extended black suede heel counter that is emblazoned with a bronze logo, as well as perforated side panels. 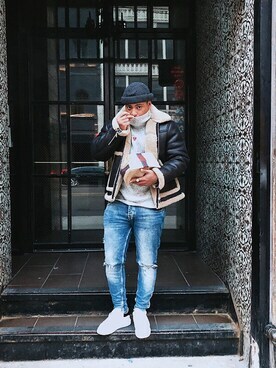 Wear them with jeans and a tailored coat for an of-the-moment city look.